2016 is another great Bordeaux vintage. True words. But what kind of great vintage? Greater than 1985 or 1990? Greater than 1995? 2005? Yes to all. Greater than 2009 and 2010? Harder here but but still yes. Greater than 2015? Not sure there yet. How can that be? Read on for answers. 2014-2015-and-2016 follow the same pattern as 2008-2009-and-2010 and 1988-1989-and-1990 before that. Not quite good-better-best but more like fine-excellent-excellent. There is some debate as to whether 1989 or 1990 is better as there is some debate as to whether 2009 or 2010 was better. There will be debate as to whether 2016 is better than 2015. While opinion seems to lean toward the latest vintage in all cases, the real answer is that they are all great vintages and your preference will depend on the style of wine you prefer and which chateau’s wine you’re tasting. (The caution in all three cases is to not forget about 1988, 2008, and 2014, all of which offered lovely wines at prices well below those charged for the most sought after vintages. So what happened in 2016? Put simply, the vintage started wet and got dry. Just when it looked like it might be too dry, some September rains freshened things up. When I was in Bordeaux in March and April of 2016, it was wet and even in the Medoc a bit muddy. And mud on my western boots is not a common thing in Bordeaux. May and June continued wet except for a window of better weather around flowering. July and August had virtually no rain which was at first a relief and then a worry as it got too dry. Some of the younger vines were not able to get enough water due to less developed root systems and some of lesser terroirs just didin’t hold enough water. Some very welcome rain came September 13th which was enough to freshen up the established vines on the better terroirs but was sometimes too-little-too-late for the younger vines and lesser terroir. The result? 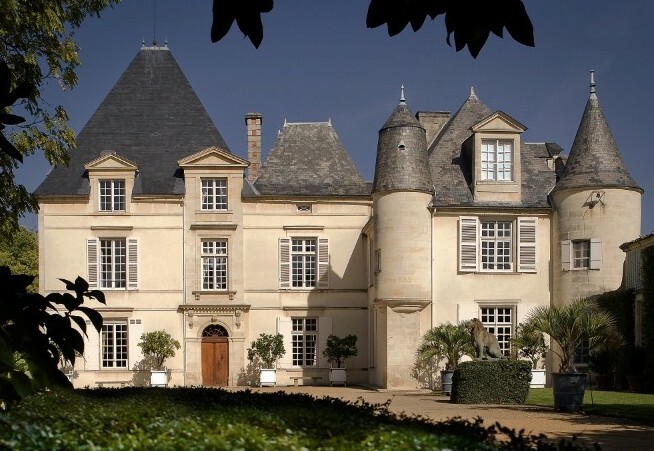 If a chateau had established vines on the better terroirs, 2016 gave them ripeness and developed phenolics with refreshing acidity – which is to say that they got the raw materials for a great vintage. It was then up to each chateau to harvest at the right times and avoid messing up the process in the winery. More often than not, they succeeded – which is why 2016 is a great vintage. This entry was posted in Bear Dalton, Bordeaux, Bordeaux En Premiur, Thinking About Wine, Uncategorized, What I'm Thinking and tagged 2016 Bordeaux, En Premiur. Bookmark the permalink.